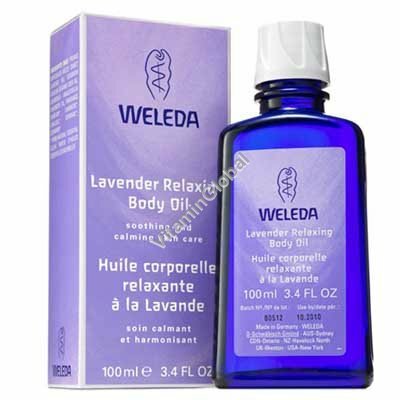 Weleda Lavender Relaxing Body Oil helps harmonise the body and spirit. Essential oil of lavender exudes a subtle, clean fragrance to help unwind tension. The fine, light oils of Almond and Sesame, with their high content of unsaturated fatty acids, combine to help maintain smooth, silky skin. Apply sparingly onto damp skin (after showering) or dry skin. Massage gently into the skin.